These red velvet cupcakes are as luxurious as they sound. 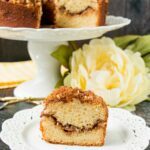 They are soft, moist and fluffy with a lovely chocolate-vanilla flavor, and they are crowned with gorgeous swirls of cream cheese frosting. 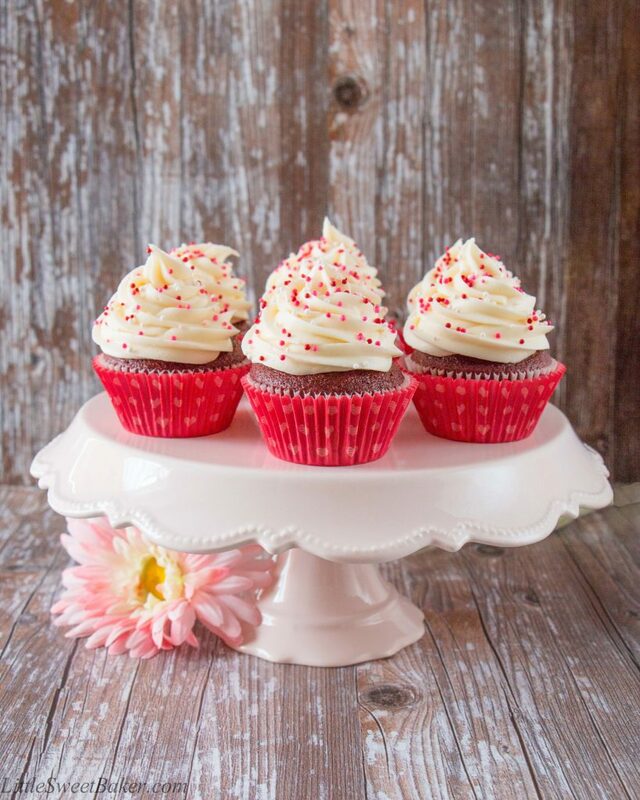 Red velvet cupcakes are a year-round favorite, though their festive red and white colors make them perfect for holidays like Valentine’s, Canada’s Day and Christmas. You can even dress them with some fresh blueberries to give a red, white and blue color scheme for Independence Day as suggested by Stephanie Jaworski from JoyofBaking.com. I chose the cupcake recipe from Averie Cooks because in comparison to other red velvet cupcakes recipes out there it had a short and simple list of ingredients, and there was no mixer required. 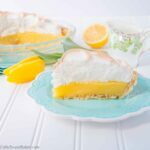 The recipe uses both buttermilk and Greek yogurt for supreme moisture. It also includes 3 tablespoons of cocoa powder and 1 tablespoon of vanilla for lots of flavor. I selected the frosting recipe from Baker by Nature because it had a higher ratio of cream cheese to butter, and it made a good amount of frosting because I like a tall mound of frosting on my cupcakes. I find the sweet and tanginess of cream cheese frostings pairs really well with red velvet cupcakes. I can’t imagine it with anything else. Though interestingly enough, the original red velvet cakes back in the 1920’s were topped with a boiled-milk frosting called Ermine icing. 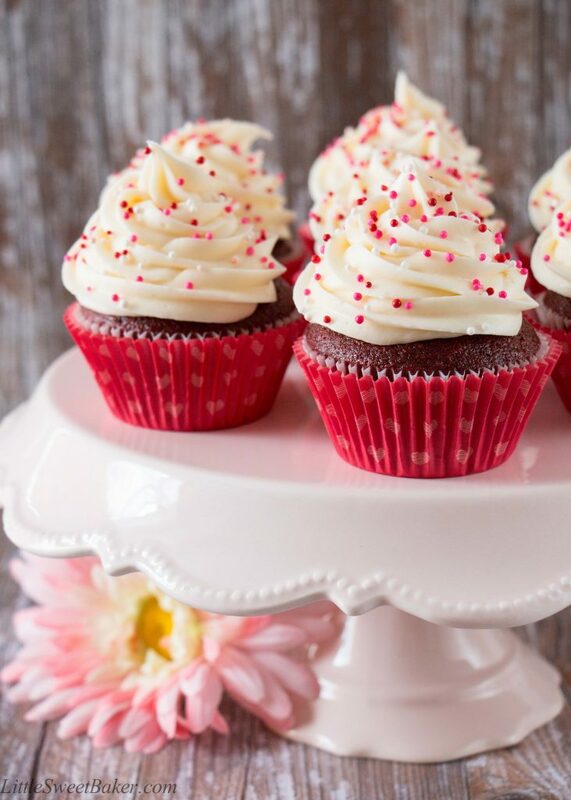 These red velvet cupcakes are incredibly moist and fluffy. The texture is soft and tender. It tastes like a light chocolate cake with strong notes of vanilla. 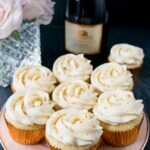 The cream cheese frosting is sweet, yet tangy and has a wonderful creamy flavor. 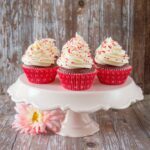 These red velvet cupcakes are soft, moist and fluffy with a lovely chocolate-vanilla flavor, and they are crowned with gorgeous swirls of cream cheese frosting. Preheat oven to 350F. 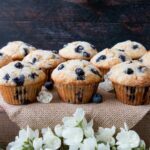 Line 2 muffin pans with 14 paper liners and set aside. In a large bowl, toss together the flour, cocoa powder and baking soda. In a medium bowl, whisk together the rest of the ingredients except the food coloring. Gently whisk the wet ingredients into the dry until just combined. Add in the food coloring 1 teaspoon at a time, mixing in between until you reach your desired color. The original recipe called for 1-2 tablespoons of food coloring. I used only 2 teaspoons and found that was enough. Fill the cupcake liners 3/4 full. Bake for 18-20 minutes or until a toothpick inserted into the center comes out clean. Let the cupcakes completely cool before frosting. Using a stand mixer with a paddle attachment or a handheld mixer, beat the cream cheese, butter and vanilla until smooth. Slowly add in the powdered sugar 1 cup at a time, mixing well in between. Pipe the frosting on top of the cupcakes using a Wilton 1M tip. 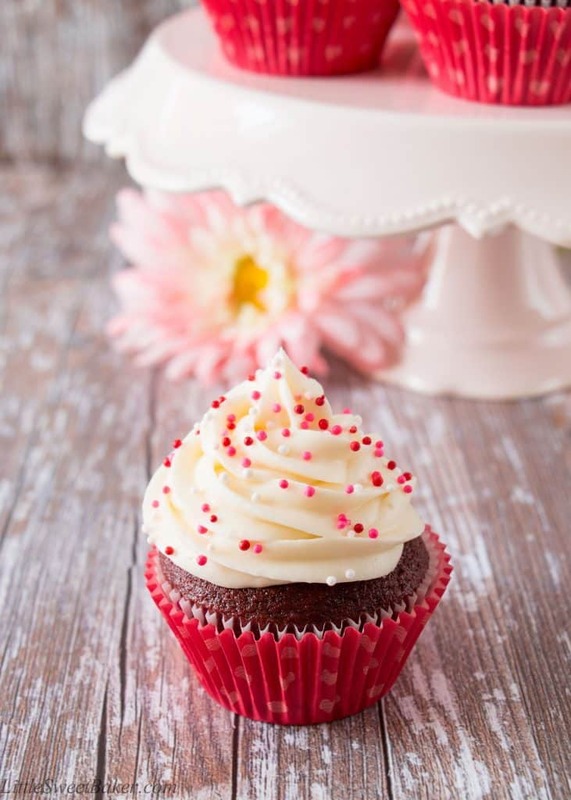 Cupcakes can be stored in an airtight container at room temperature for 1 day or up to 3 days in the refrigerator. Bring to room temperature before serving.